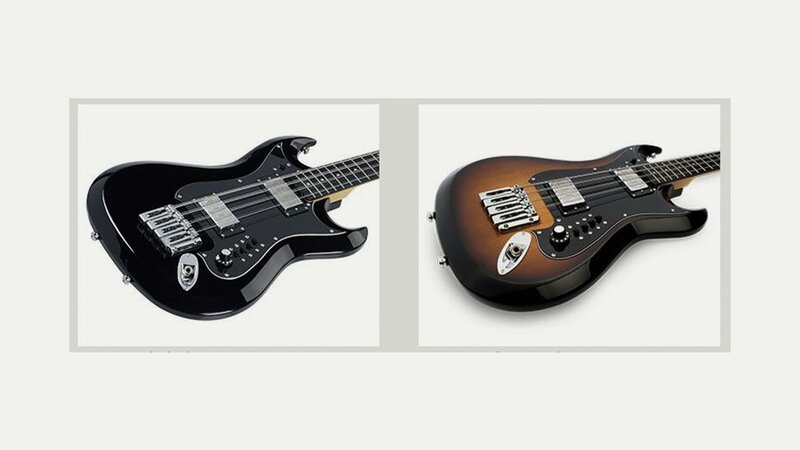 Hagstrom were the first brand to mass-produce an 8-string bass in the late 1960s, turning it into a timeless instrument. With the H8-II of its RetroScape series, Hagstrom introduces an authentic re-issue of this legendary 8-string bass originally released in 1967. In other words, its tremendously powerful and sparkling sound is back! With an 8-string bridge (string-through-body), short scale and “Dyna-Rail” humbuckers you get a very playable bass with a fat sound.